Is that what you think of when you hear a Super or Principal or Politician say they want excellence in education? Can you appreciate how useful it would then be to create a false belief system about reality through curricula like Facing History or a UN report about catastrophic manmade global warming regardless of actual temperatures? Check on the feelings component. How about the utility of a rather limited store of facts coupled with a new value system driven by a perceived need for fairness and social justice? That sure would affect what was wished for. Top it all off with a mind that was never taught to read phonetically and uses context strategies to guess at unknown words. Couple that to a brain that was never taught logic through grammar or systemmatic, sequential coverage of math topics (abstractions are taboo, remember? ), and you have precisely the classroom recipe we have been dealing with in some schools, districts, and states for about twenty years. If our Colleges of Education aspire to create mushbrains and then have their graduates meddle in the students’ inner subjective emotions to create a new sense of self and personal identity, professors pushing such a dialogic vision for the engaged classroom should not turn around and write Editorial letters that school tragedies must be the result of guns. The Second Amendment. Lots more has changed in education. Targeting that inner self is a big part of what changed in the last 25 years or so. Well, in our case the annointed are largely education professors or those with sociology or psych degrees who have decided they get to decide what kind of future there is going to be and they plan to use their monopolies over K-12 and higher education to get there. Even though they clearly do not understand economics or history. I am going to stop what is not a funny topic to tell a funny, telling, story I read this week on the Cafe Hayek blog about Amitai Etzioni. As you may recall, he’s the Communitarian professor whose vision of the future is so much a part of the Positive School Climate mandate, the real definitions of College and Career Ready, and the C 3 civics push for a Common Good emphasis. Apparently he suggested that until we can get national gun control legislation, people should voluntarily get rid of their guns and then put a sign in front of their home announcing that fact to strangers as they go by. Now should someone who finds that to be an inspirational idea really be who we are listening to on their vision of the future? I had a similar thought this week as I looked through Spence Rogers’ Teaching for Excellence Materials. The co-creator of Transformational Outcomes Based Education with Bill Spady recommended pushing psychology prof Mihaly Csikszentmihalyi’s book Flow for all teachers using his classroom template. Since I have children in a school and district using Rogers’ work and had already written about Csik http://www.invisibleserfscollar.com/what-if-higher-order-thinkingdeliberate-confusion/ it was time to get his other books. I already had Csik and his co-authors saying their education reform work was about “trying to direct the course of the future” and maligning capitalism. That’s a flow experience to Csik and that aspiration by the government into the full spectrum of a student’s personality to be monitored via data and feedback to measure “personal growth” should not really be considered intrusive. It’s in pursuit of a different future after all. And if you wonder why teachers or principals sometimes get a glazed zealot look in their eyes when describing their PEAK teacher training or Peter Senge’s systems thinking seminars or Camp Snowball, this is Csik’s description of a flow experience. If you have never read this post on Bela Banthy’s totalizing vision of education he called Achieving Excellence to take us to a different future, I suggest reading it. Now. http://www.invisibleserfscollar.com/who-granted-permission-to-spearhead-societal-evolution-to-a-global-cooperative-consciousness/ Then ask yourself why Bill Spady, who had directed Banathy at the Far West ed lab in Oregon later misdescribes the 1991 creation of Transformational OBE in Aurora, Colorado after it became controversial. And never mentions Banathy’s more comprehensive version of the OBE vision at all. I think it is because Banathy gives the rest of the story. The economic and political transformation that all these education reforms and psychologizing of the classroom are actually leading us to. The planned society. The planned economy. The highly emotional, manipulated to be servile and give in to the herd mind. Led by too many adults who are now always seeking a continuation of what felt like a mystic experience. Who don’t see anything wrong with trying to create a new world via the classroom. Who lack the knowledge to put the pieces together and then recognize why this cannot end well. I wish everyone reading this post and blog a very Merry holiday season. Please do not be sad about the gravity of what I have been writing about. I don’t know why I was put in the precise places I needed to be over the last few years to get this story. But I was and I have it. And I genuinely believe that telling it will make all the difference in really altering the future. But in a good way. Certainly better than what is currently intended for most of us. Coercing Teachers to be Social and Political Saboteurs–What Can Be Done? One of the greatest falsehoods, OK I’ll say it, Outright Lie, about the Common Core has been the repeated insistence that no one would be telling the teachers How. To. Teach. It seems like virtually everyone is. That’s the Whole Purpose of these New Teacher Evals and weakening Tenure. That’s why the NEA goes along. Well, at least its leadership who know the real long-term game. The delegates and members? Not so much. There’s a reason that the teacher evals to be used now track back to people like Charlotte Danielson, Ray Pecheone, and Robert Pianta who were involved in forcing the related Outcomes Based Education (OBE) on classrooms in previous decades. Same goals of changing the student at the values and attitudes level. Just different language and different enforcement mechanisms so this national and international effort at student and teacher subjugation can be touted as “state-led.” Or the New Super’s Idea of Excellence and Quality Learning which seem to be Benign terms, right? Long time readers know better. CCSSO (the political interest group that represents the chief state ed officers in each state and is financially sponsored by all sorts of businesses with a vested interest in its policies in a first rate example of Cronyism to the core) came out with Model Teaching Standards in 2011 after most states were on board. http://www.ccsso.org/documents/2011/intasc_model_core_teaching_standards_2011.pdf is a copy if you have never seen it that mandates student-led and new assessment driven (funded in that 2009 Stimulus Act to the tune of hundreds of millions). By the way, both the SBAC and PARCC assessments to change classroom practice and what gets measured as the results of all that expensive K-12 schooling use the OBE-influenced Norman Webb Depth of Knowledge template we have already talked about. http://www.invisibleserfscollar.com/the-intentional-insurrection-in-texas-supers-override-governor-legislature-and-taxpayers/ explains why Texas classrooms look like the actual Common Core implementation in other states. All mandating student-led, Depth of Knowledge, and the also OBE-tied Understanding by Design as the means to measure the results of the classroom. Now that’s a lot of legwork to change classroom practices without it being apparent. Why? Would you believe it goes back to the height of the Cold War and the early 70s and the Soviet Union and China and a very tense world? Yep. And the UN and trying to get everyone in the world during that tense time to change their education practices. Knowing perfectly well that changing education practices would only matter in free societies. In dictatorships, not so much. Which is why this report and its recommendations are so troubling. Not only does it tie to everything going on and being recommended for K-12 and higher ed all over the world right now. But it is clearly education to make one fit to be a subject. Tolerant of being told what to do. This so-called “right type of education” for the global future was to be a revolution in man’s “inner space also; a new union of science and spirituality.” Yes I was laying a path in those last several posts where we started with Alice Bailey’s From Intellect to Intuition and there is even a listed Ford Foundation adviser who was officially a member of the panel issuing this early 70s UNESCO report. Again, what are the odds? But to get this “interior revolution” that will lead to a “subsequent social revolution” requires a rejection of traditional instruction and pedagogy to one focused “above all” on developing “personality and attitudes.” Doesn’t that sound just like OBE? See if this quote sounds like what is being mandated in the classroom and imposed on teachers and students by the accreditation agencies and eval criteria and Cambridge Education’s Quality Reviews and models like Spence Rogers’ Teaching for Excellence? Sorry but Toxic Social Goals call for Graphic Language if we are to have any chance of halting a Massive Social Engineering Project to remake the national psyche through education. In other places this “non-directive pedagogy” is also referred to as providing “psychotherapeutic data ‘centred on the client.” Given how much of Common Core is about using gathering, and responding to, data on actual student learning. Which is (elsewhere) defined as Changing Student Values, Attitudes, Beliefs, Values, and Behaviors, the acknowledgment that this is psychological data and based on Carl Rogers’ and Kurt Lewin’s work should give everyone involved in education pause. “the teacher’s duty is less and less to inculcate knowledge and more and more to encourage thinking; his formal functions apart, he will have to become more of an adviser, a partner to talk to; someone who helps seek out conflicting arguments rather than handing out ready-made truths. He will have to devote more time and energy to productive and creative activities: interaction, discussion, stimulation, understanding, encouragement. And authentic democracy in education in the West would help the early 70s Advocates of Evil prevail in the Cold War. Such a psychologizing of education amounts to unilateral intellectual disarmament. Why? To prevent people who can accurately piece together a plan even though no one ever told them what was going on and how it related. There was and is supposed to be no whistle blowing in time. So the Cold War is officially over despite Putin’s recent sabre rattling and war gaming, why is this still being pushed in 2012? Well, I believe UN Climate Chief Christiana Figueres gave the answer at the end of this recent interview with Yale’s Environment 360. My italics this time. The Cold War may be over. Aspirations of politicians and bureaucrats from the international to the local level to plan society and dictate what individuals are to do (or not) and how economies will work while living at taxpayer expense. Not Over in the Least. Now that greedy reality appears to be perpetual. It survived the Cold War and is alive and well in 2012. And trying to force teachers to be Agents of Change in a social revolution that will not turn out well or as planned. This is a good time to talk about this. On the front-end. No, we have not had a Dr Faustus moment since the last post where the human soul went missing. Just a matter of tact when you want widespread changes to pedagogy and classroom practices and teaching beliefs. Diplomacy and a desire for successful adoption without a brouhaha over what’s being pushed suggests tucking those intentions to alter values and help the students search for meaning and purpose in their lives into the generic Heart designation. Or in Student Engagement as a Goal. Just some feelings after all coming into the classroom to help the students deal with their experiences. Those existential issues that lead to a sense of crisis and adaptation but otherwise nothing to worry about. The questing for answers is just a part of growing up. It’s not like they have a solid base of history or characters from classical literature to help them frame their lives. If you are still not sure why we have to talk about spirituality apart from its omnipresence in the intentions for K-12 and higher ed, it goes to quietly gaining widespread acceptance of the planned transformative social, economic, and political change. Not just in the US but all over the West. Because the literature leaves no doubt over what is sought. The only real question takes us back to how much economic redistribution–strict Equality of Results or Bounded Inequality? What level of personal freedom will be left? Are fossil fuels still allowed in a Low Carbon future? What if that means no reliable efficient energy? If these admissions seem startling and you are just reading this blog wondering what Common Core will look like in the classroom or why the UN and the US EPA keep pushing to regulate carbon dioxide, four simple words for you. Professor Wortham nailed the why. Let’s look at just how broad the definition of Spirituality becomes as the target of education now and the source of Education as Transformation. This is from an essay called “Spiritually Engaged Pedagogy:The Possibilities of Spiritual Development Through Social Justice Education” and is intended to be a warning on how easy all these Values, Attitudes, and Belief altering plans are to now get into the classroom. All classrooms. Holistic spirituality is what it aspires to be. Also looks like the IB Learner Profile for some of you. This is also why we have to have a Student-Centered focus. *Spirituality is a lifelong development of a sense of the authentic self. *Spirituality places us in relationships with others through care and outreach. *Spirituality involves ongoing construction of meaning and knowledge. *Spirituality and spiritual experiences can be symbolic, unexpected, and present in learning environments. * Spirituality emphasizes interconnectedness and wholeness. Long-term readers of this blog may have just spilt their morning coffee on what may now be a sticky keyboard. But those intentions pick up Peter Senge’s Systems Thinking and Bronfenbrenner Ecological Systems Theory and powell’s insistence we are not Unitary Selves anymore. It’s also the New 3 R’s-Rigor, Relevance, and Relationship. It’s Vygotsky and the Sociocultural Theory that got adopted as part of Education for Life and Work. This broad concept of Spirituality completely saturates the actual Common Core implementation we have been documenting. And for good reason. I have protested before that my caution in advocating for 21st Century Utopias does not make me a Scrooge. I have read through all the Henriot & Holland Pastoral Cycles Linking Faith, Action, and Social Issues many religious faiths are putting out as they advocate for social justice and cannot find much more to the analysis than “It’s not fair” and “I wish it were different.” Feelings that the world could be more just may lead us to ignore what works that we are not seeing in favor of the remnants that could be better. But blindly jettisoning what works. Asking K-12 or college students to be aware of their positions of privilege and to name and understand injustice, while “providing opportunities for students to consider their own vision and participation in a more just world” strikes me as dangerous. Would you let an art major design a load-bearing bridge? Of course not. Why would we push people who do not know what got civilization to this point of progress and what failed in the past to decide what would be better? Does that strike anyone else as a dangerously naive mantra to be learning to habituate? No one defends inequalities or differences in influence as good in themselves. They are just the natural by products of a focus on the individual and freedom to trade and develop ideas that benefit more than the people involved in the trades. The inequality from economic freedom is tolerated because our choices are (a) to have inequality of incomes but at a higher average income for all. Or (b) to have a relatively equal distribution but at lower average levels for everyone. That’s the choice. Is anyone explaining that fundamental fact to the students learning about social justice? Would that reality affect how they feel about social justice? No, you know why no one wants to frame it honestly. It would influence the advocacy for redistribution. And the desired sense for community. That will make today’s students so easy to exploit emotionally as adults. And politically. I mean grow up. There are individuals involved in these various Justice movements with good intentions. But this in the aggregate is not a well-intentioned initiative, not at the UN-level or the national or locally. It’s a power play by politicians and bureaucrats and their Cronies. There will be no parades or trenches or poison gas to tell you that your future, your wallet, your children, and the legitimacy of Individualism and self-interest are under organized attack. Hoping for a lasting victory. I call these types of pedagogies and political theories unilateral intellectual disarmament. Everything that brought progress and prosperity is being jettisoned so that Government officials and their Cronies can direct the economy, control natural resources, and dictate permissible personal behavior. Social Justice education at its core cultivates a self that will go along. Preferably without recognizing what is to be lost. No wonder Bill Ayers advocates it as far superior to bombs. Biddable was the term that came to mind for the Desired Heart and Mind from Alice Bailey’s New Education in the last post. The one with the support of UNESCO and its global cultural tentacles. No, I don’t visualize everyone in the classroom holding hands, wearing white robes, and chanting. That would be obvious and the point is clearly not to convert but to minimize everything historically that fostered that sense of individuality. What john a powell deplored fairly recently as the Unitary Self that needed to be destroyed. 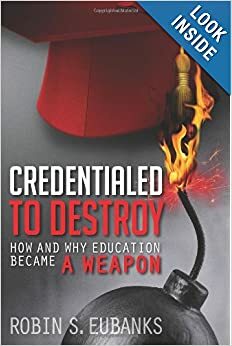 All this jockeying about the nature of education, then and now, is really about creating the World-view or Mindset that will interpret the experiences of life it encounters. How Reality is Perceived. Permanently. In fact that recent CCSSO C3 Social Framework I wrote about is stunningly graphic in its language about the “lenses” students are to practice using over years of classroom experiences. Probably one of the most explicit descriptions of “Creating a False Consciousness for Dummies” you will ever read. The first chapter in Bailey’s 1932 book is called “The Purpose of Education.” She does see it as private meditation about how to change the World. Without nuisances like a store of facts getting in the way of the Sought Vision of What Might Be. This quote is a little long but, I believe, this is the passage that gives rise to the mysterious “Sense-Making” Goals of Education now all over the world. Likewise, I maintain this is the source of what CCSSI means by “Understand” throughout the Standards. It also appears to be the driver behind the “Deep Learning” mandates we have covered. Page 32 if you choose to get a copy of From Intellect to Intuition. Emphasis in original. And that emotionally-driven sense-making of experience not grounded in Facts is what Bailey says develops the “capacity to function in the larger consciousness.” which would be highly useful to Schemers wanting to break the Western tradition of Individualism. It certainly sounds like the kind of web of interconnectedness the Systems Thinkers and Deep Ecologists desire. And in 1932 if Education was to be the global vehicle for this Change in Personal Mindsets, John Dewey must be the Prophet of Change. No one else had his influence. So my epiphany in the Car Pool Line as I read Bailey’s Goals was “What’s the connection between John Dewey and Buddhism?” Ding. Ding. Ding. We have a winner. Bailey herself said that the purpose for what she called the New Education was the “training and development of the individual for social ends, that is, for the largest service to man. . .” We exist to be instruments in other words. Sounds like Dewey too. Now it turned out that linking Dewey and Buddhism produced an avalanche of links. I am going to give the essence of what is pushed and links for anyone’s further investigation. And this really matters. It turns out to be inextricably bound up in the UN’s Vision of Education for All and its Sustainability initiatives as well the definitions of Global Citizenship we keep hearing vague references to. http://www.daisakuikeda.org/sub/resources/works/lect/lect-08.html&pid=print is the seminal lecture from Columbia Teachers College on June 13, 1996 by Daisaku Ikeda, Buddhist philosopher, peacebuilder and educator called “Thoughts on Education for Global Citizenship.” It lays out the similarities between Dewey and Makiguchi, the Japanese inspiration for SGI, Soka Gakkai International (check its partner list if you want to check its active participation among the Who’s who of Global NGOs). Now I have an idea. To get around those sticky concerns about the separation of Church and State, especially in the US, let’s call the interrelatedness a System or Web and require students learn about it. Maybe in the new C3 or Science Frameworks. Then it appears Secular and Perfectly Permissible. In fact, we can take the phrase “Buddhism seeks to cultivate wisdom grounded in this kind of empathetic resonance with all forms of life” and call it Ecology and Sustainability and Systems Thinking. Then it gets to come into the classroom to alter the Student’s Permanent World-view. In a religious way. Without saying so. In fact Ikeda sees the Concept of a Global Citizen to be grounded in the Buddhist concept of the Bodhisattva–“one who strives without cease for the happiness of others.” Americans get to secularize that Buddhist concept as College and Career Ready as we have seen. Here’s also a 2002 Speech at the Ikeda Center for Peace, Learning, and Dialogue at Harvard called “Democracy and Global Citizenship: Creating Value by Educating for Social Reform” by the Director of the Center for Dewey Studies commemorating the 50th Anniversary of Dewey’s Death. http://www.ikedacenter.org/thinkers/hickman_lecture.htm Hint: Hickman’s Vision for finally enacting fully Dewey’s work looks a lot like the CCSSI and global education reform implementations we have been chronicling. But no one, except me, is being forthcoming with the public around the world that these are the visions and ends being mandated for 21st Century Classrooms. All we get are vague “the process is more important than the content” or “must now be a student-centered classroom.” No one mentions Alice Bailey’s troubling one-world vision from the Cold War Era that is no friend of traditional Western culture. Or Ikeda’s vision that is admittedly grounded in attaining Buddahood in this life. We now seem to be calling that Service Learning and insist that it is Suitable for All Students because it is Engaging. Or Dewey’s Political Vision for Social Reconstruction Education grounded in his admitted Atheism. Did you know John Dewey was one of the founders of the ACLU? None of this would be news to the ACLU so determined to take Judeo-Christian influences out of the public schools. So much for claims Secularism is the Goal. A different Kind of Spirituality is a More Accurate Description. One Useful to Those who Seek a Stronger Economic Role for the State that does Not Want to Worry about Pesky Individuals Impeding Progress Towards a Sure to be Great Collectivist Future. Yes, the post title is based on something written about Stalinism in 1954 on what the State there needed in Citizens. Seemed apt. All the great historic civilizations of the past recognize that it is spiritual values or ends that influence individual behavior or social culture. When Madalyn Murray O’Hare and the ACLU took the prayer case to the US Supreme Court, they were really trying to take out the traditions that impeded a different Vision for where the US should go. SCOTUS was in no position to know the reality of Sought Influence I have laid in this post. These prevailing Values and Ends are what Ikeda and John Dewey and Milton Rokeach and Peter Senge and Spence Rogers and William Spady and Outcomes Based Education and Systems Thinking and Competency all want to change. They are the key to how individuals interpret reality and their concepts of moral order. And right now only the Communitarians and Collectivists are at the table to influence the Values and Ends allowed into the Classroom. Now what are we going to do about That going forward?